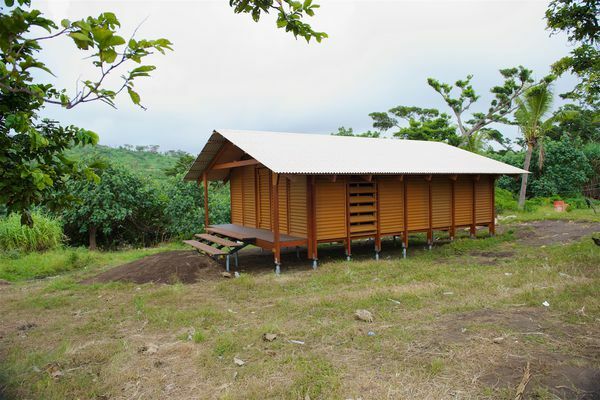 A Nev House, designed by Ken McBryde, for remote communities on cyclone-ravaged Tanna Island in Vanuatu. 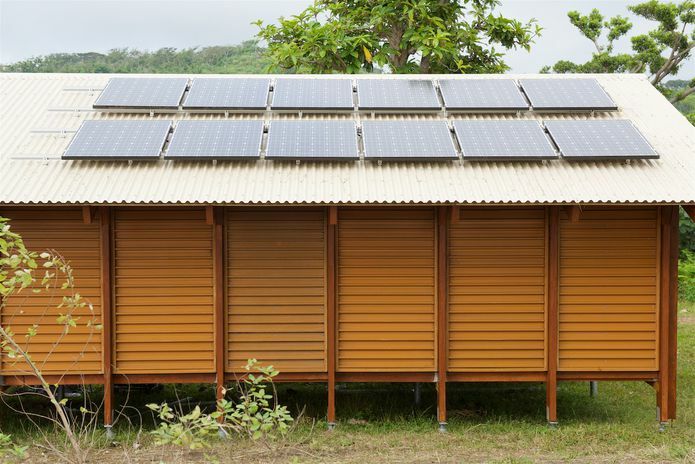 An Australian duo has created a series of cyclone-resistant prefabricated shelters for remote communities in Vanuatu. The buildings are adapted from a prefabricated, recycled plastic house prototype, named Nev House, which are designed by Ken McBryde, a principal at Hassell. Thirteen school and community halls and a medical clinic were recently installed on the remote Tanna Island in an effort help rebuild the island after it was devastated by Cyclone Pam in March 2015. 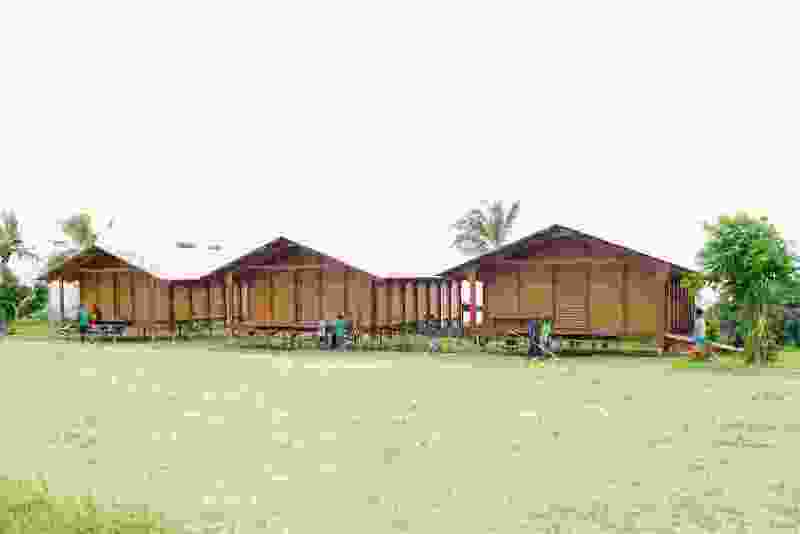 Located across four villages, the buildings together than provide shelter for more than 1,000 people in the event of a cyclone. The Nev House is the brainchild of Australian entrepreneur Nev Hyman, who is recognized in surfing circles as the designer of Firewire surfboards. The houses, which are made, in part, from recycled plastic, were born from Hyman’s involvement as an investor in a plastics recycling company that made wood replacement products. 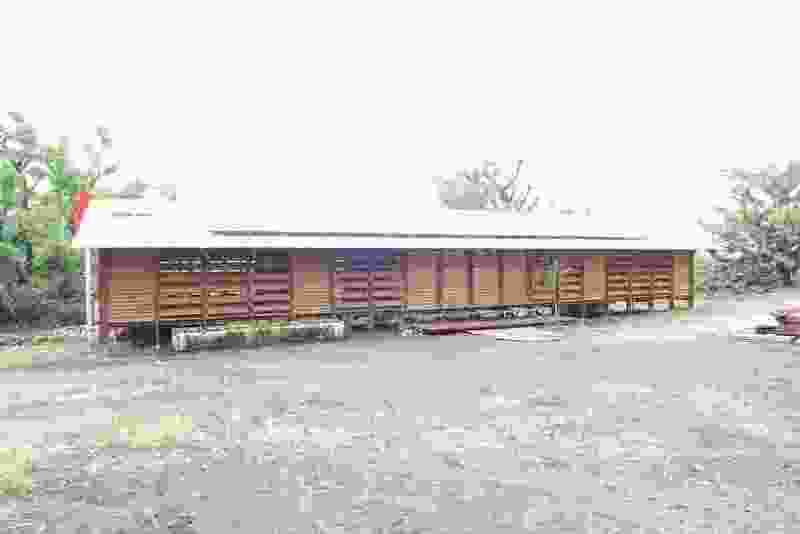 “I was in Indonesia and I saw a floor plan and an elevation of a house that the Indonesian government hoped to provide for a community in Lombok and I thought to myself, ‘I can make that out of [recycled plastic] materials,’” Hyman said. 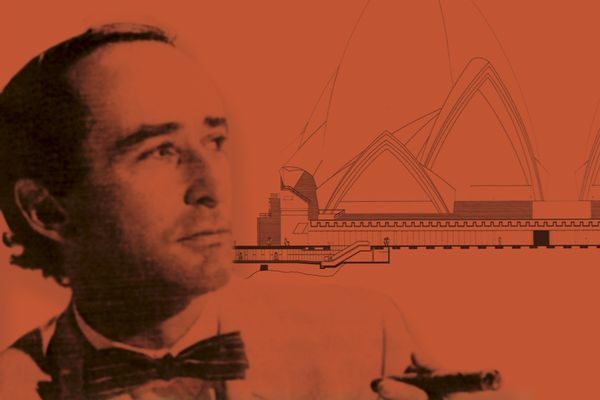 On his return to Australia, Hyman connected with McBride, who shared his passion for surfing, and the two began working on a prototype for the prefabricated, modular houses. The Nev House, designed by Ken McBryde, is characterized by a high-pitched roof with large overhangs and louvred walls. The houses are elevated off the ground and are characterized by high-pitched roofs with large overhangs. This creates a thermal chimney effect by drawing cool air from under the house and up through the roof. The walls are lined with full height louvres, which help to control privacy and ventilation. 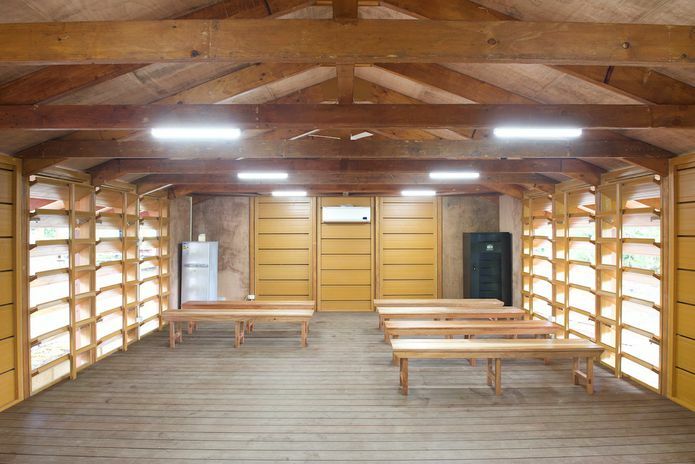 Interior of a Nev House community building, designed by Ken McBryde, for remote communities on cyclone-ravaged Tanna Island in Vanuatu. The houses are simply constructed from timber portal frames made of laminated veneer lumber (LVL) and clad in a recycled plastic and wood fibre material, which has been extruded into custom-designed profile. 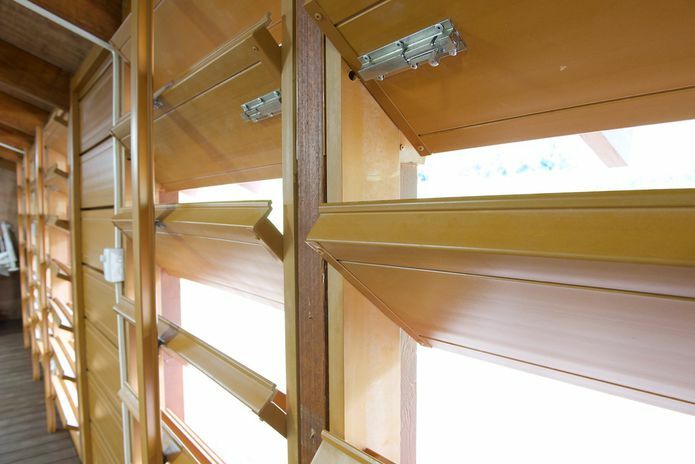 “That extrusion is designed to work for the walls, the louvres, the floor and the roof,” McBryde said. 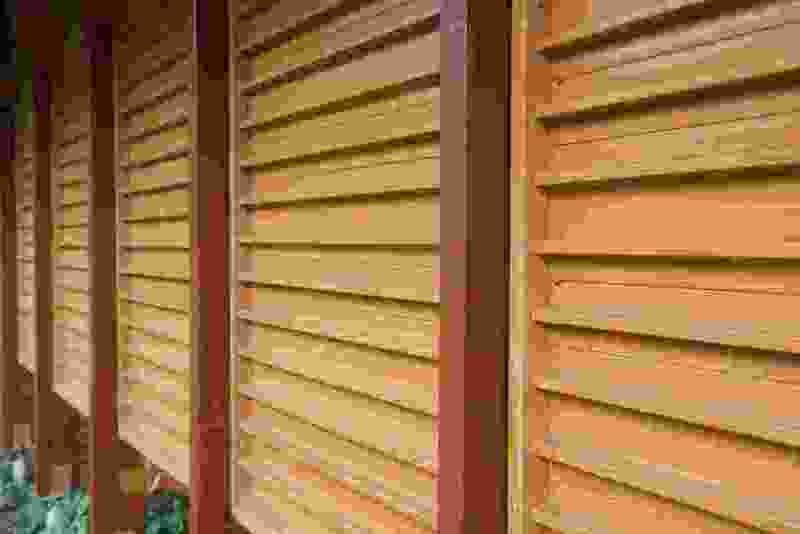 But for the Nev House’s first project in Vanuatu, the profile has only been used for the walls and louvres. This custom profile derived from one of two “breakthrough” moments for the project, which came after a surfing session. 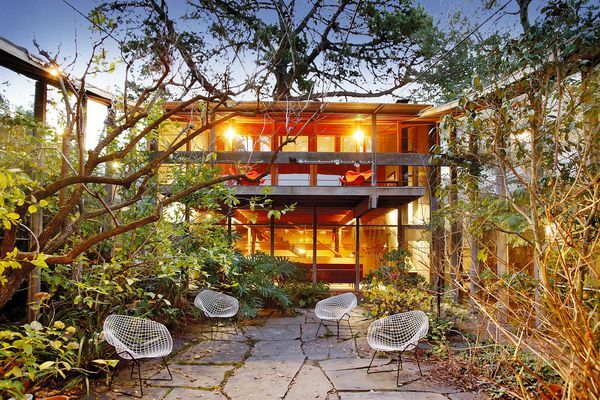 As Hyman recalls, “The first epiphany moment for Nev house was three years ago [when] we had what was a version one of Nev House and it basically looked like a plastic weatherboard house – brilliant in design but it just didn’t rock my socks. Louvres of the Nev House designed by Ken McBryde extend from floor to ceiling. 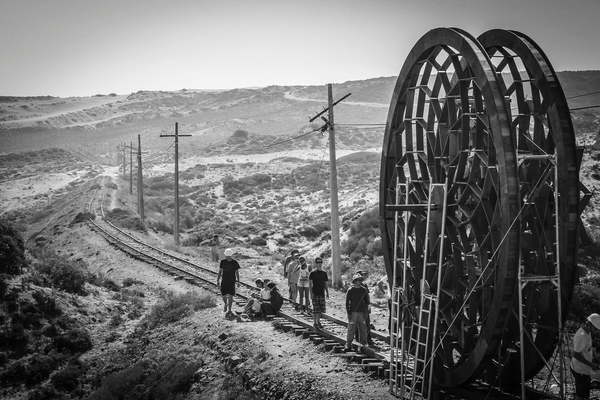 The buildings are rapidly assembled, taking just five days to construct. “A typical building in an equivalent area in Vanuatu would take three months,” McBryde said. The buildings cost $50,000, fully assembled, making them an affordable post-disaster permanent housing solution. Hyman and McBryde were approached by a Vanuatu government advisor Paul Nalau, who inspected a prototype Nev House and asked them if they could be designed to be Category 5 (severe) cyclone resistant. In resolving the design of the nakamal, Hyman and McBryde happened upon their second breakthrough moment. While being filmed for the ABC’s 7:30 program, the government advisor Paul Palau asked how the buildings could be made cheaper and use more indigenous materials. “My mind went straight to Alejandro Aravena’s ‘half-built’ house idea,” said McBryde, referring to the 2016 Pritzker Prize Laureate’s Incremental Housing project. “I said to Paul, why don’t we just make one end of the house Category 5 cyclone resistant and build the rest in the traditional manner. Let the locals fill it in. 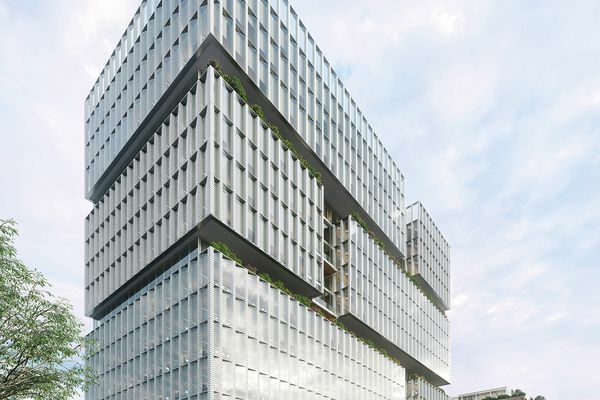 Bates Smart has designed a mixed-use development near a railway station in the northern Sydney suburb of Macquarie Park. The Nev House community buildings, designed by Ken McBryde, for remote communities on cyclone-ravaged Tanna Island in Vanuatu. The walls, floor and roof of the Nev House designed by Ken McBryde can all be made from a custom-designed profile.